To remain dedicated to serving the community with uncompromising integrity and moral values. With professionalism and compassion, the department strives to reduce crime, foster community partnership, and sustain public trust. Chief Raymond Turano was appointed Warrenville Chief of Police in January of 2007. 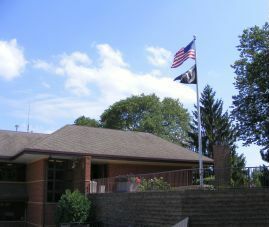 The Warrenville Police Department consists of thirty-three full-time police officers, five part-time police officers, and eight civilian employees. The department is organized into two divisions: Administration and Investigations, and Operations. The Warrenville Police Department provides around the clock police patrol services to its residents, as well as providing highly specialized services. Specialized services include: criminal investigations, forensic evidence processing, major accident reconstruction, a Canine Unit, Traffic Safety Enforcement Unit, and a Problem Oriented Policing Unit. Additionally, members of the Warrenville Police Department serve on multi-jurisdictional task forces including: DuPage County Major Crimes Task Force (MCTF), DuPage County Accident Reconstruction Taskforce (DuCART), FIAT Special Weapons and Tactics (FIAT/SWAT), Northern Illinois Police Alarm System (NIPAS), and the Greater Metropolitan Auto Theft Task Force. Chief Turano began his law enforcement career in 1976 with the Elmhurst Police Department. There, he served as a Patrol Officer, Field Training Officer, Criminal Investigations Detective, Patrol Sergeant, Tactical Unit Sergeant, Patrol Commander, and Commander of the Criminal Investigations Division. Additionally, Chief Turano served as a both an investigator and investigations team leader with the DuPage County Major Crimes Task Force. Chief Turano retired from the Elmhurst Police Department in 2007, upon being selected for the Warrenville Chief position. Currently, Chief Turano serves on the Executive Board of Directors with the DuPage County Major Crimes Task Force, and was the Chairman of the Executive Board of FIAT/SWAT from 2013 to 2015. Chief Turano earned a Bachelor of Science degree in Criminal Justice Management from Aurora University, a Master of Arts Degree in Law Enforcement and Justice Administration from Western Illinois University, and is a graduate of the Northwestern University School of Police Staff and Command. Chief Turano has facilitated criminal justice college courses at Lewis University and several accredited on-line universities. Chief Turano serves on the DuPage County Chiefs of Police Association Executive Board of Directors and as Chairman of it's Training Committee. He is also a member of the Illinois Association of Chiefs of Police and the International Association of Chiefs of Police. Deputy Chief Jeff Jacobson is a 20-year veteran of the Warrenville Police Department, and has served as the Deputy Chief of Investigations and Administration since September of 2013. As the Deputy Chief of Investigations, he oversees the Investigations Division which consists of one Sergeant, three Detectives, and two Problem Oriented Police Officers. As the Deputy Chief of Administration, he oversees the Records Division which consists of four full-time Records Assistants, and one full-time Community Service Technician. Deputy Chief Jacobson is a graduate of the University of Dubuque with a Bachelor of Arts degree in Criminal Justice. During his career at the Warrenville Police Department, Deputy Chief Jacobson has worked in the capacity of a Patrol Officer, undercover drug enforcement agent, tactical officer, Detective, Patrol Supervisor, Detective Sergeant, and a member of the DuPage County Major Crimes Task Force (MCTF) and the Felony Investigations Assistance Team (FIAT). Deputy Chief Mark Leonard is a 18-year veteran of the Warrenville Police Department, and has served as Deputy Chief of Operations since May of 2015. As the Deputy Chief of Operations he oversees the Patrol Division, which consists of thirty-two full-time sworn officers, four part-time officers, and two non-sworn civilian officers (Community Service Officer/Animal Control Officer). Deputy Chief Leonard is a graduate of Aurora University, receiving his Bachelor of Arts degree in Criminal Justice, and also of South Suburban College with an Associate of Arts degree in Criminal Justice. He began his law enforcement career in 1998 with the Lynwood Police Department, and in June of 2000, was hired by the Warrenville Police Department. During his career at this Department, Deputy Chief Leonard has worked in the capacity of Patrol Officer, Field Training Officer, Evidence Technician, Detective, Corporal, Detective Sergeant, and as a member of the DuPage County Major Crimes Task Force (MCTF) and Felony Investigations Assistance Team (FIAT). Deputy Chief Leonard served as an advisor of the Warrenville Police Explorer Program, as well as lead instructor of Beverage Alcohol Sellers and Servers Education and Training (BASSET).